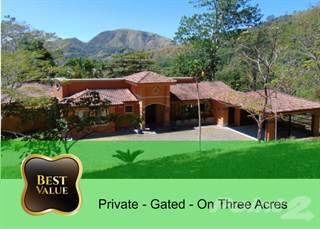 Searching homes for sale in San José, Costa Rica has never been more convenient. 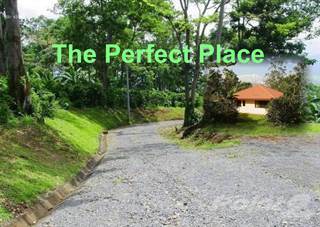 With Point2 Homes, you can easily browse through San José, Costa Rica single family homes for sale, townhomes, condos and commercial properties, and quickly get a general perspective on the real estate market. Point2 Homes gives you far more than a simple list of houses for sale. Get instant access to loads of relevant information about San José, Costa Rica real estate, including property descriptions, virtual tours, maps and photos. If you like a house for sale and you want to speak with a professional, simply contact the listing agent right from page of listing details. Or if you want to talk to an agent before anything else gets done, you can click the Tools tab and Find an Agent – you get a list of real estate agents in San José, Costa Rica, all ready to give you top-notch professional advice on house prices and more detailed information about your target area. Use the map view to find homes and apartments for sale based on amenities and features in San José, Costa Rica that you may want close by. You can select your preferred area or neighbourhood by using the radius or polygon tools in the map menu. 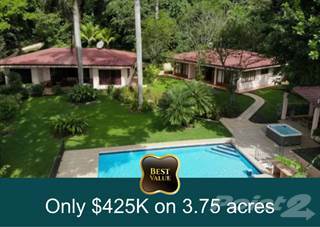 Filter among the 1,346 listings in San José, Costa Rica, based on real estate price drops in the past six months, so you’ll never miss a bargain. Get new listings in your inbox, daily or every week, based on your preferences, by simply saving your searches. All it takes is two clicks. Located in the center of country, San Jose is the capital of Costa Rica and its largest city. Although a population of 334,000 residents resides in the city, the metropolitan area is home to well over 2 million people. San Jose is 17.23 square miles in size but the metropolitan area encompasses 789 square miles. Over 1 million people work in the city of San Jose, with many commuting from outside the city. San Jose is considered a very safe city, too. There are many major companies who call San Jose their home including Sansa Airlines, Avianca Costa Rica and Rostipollos. San Jose is considered one of the youngest capitals in Latin America having been officially established as such in 1823. The city is famous for its neoclassical architecture and art galleries nestled inside former colonial mansions. There are many parks, clubs and restaurants to enjoy. You’ll find the Parque La Sabana, which is always bustling on a weekend afternoon, the San Jose Central Market and the Simón Bolívar Zoo. San Jose is considered to be in a tropical wet and dry climate. The high temperatures are generally very consistent over the course of the year, averaging in the low-to-mid 80s. The lows often drop down into the mid-60s throughout the year. There is quite a contrast between the dry and wet seasons. In December through March, average monthly rainfall rarely exceeds 1 inch whereas between May and October, one can expect anywhere between 7 and 14 inches of rain. The average annual rainfall for San Jose is 77 inches. Real estate and rentals are a little more expensive in San Jose than in other nearby major cities such as Belize City and Mexico City. There are homes, condos and apartments available to suit all budgets and preferences. San Jose is a thriving city and the economic center of Costa Rica. While many choose to live outside the city limits, San Jose is busy during the day attracting businesses, shoppers and sightseers. As the infrastructure to outlying areas increases, so does the interest in calling the San Jose metropolitan area home. San Jose is full of many great museums to accommodate a variety of interests. The Museo de Oro Precolombino y Numismática is considered a 3-in-1 museum with an extensive collection of pre-Columbian gold. There is also the Natural Museum of Costa Rica, the Insect Museum and the Museo de los Ninos & Galería Nacional designed to spark the interests of little kids. San Jose celebrates many festivals throughout the year. Some of their annual festivals and events include The International Festival of Arts, the San Jose-Zapote Fair and the Light Festival – a Christmas parade and event featuring thousands of decorated cars. There are 8 major universities located in San Jose educating tens-of-thousands of students. Some of the most notable public and private colleges and universities include: the University of Costa Rica, Universidad Americana, Universidad Cristiana del Sur, Universidad Latina, and Universidad Hispanoamerica. There are many popular sports in San Jose as well as throughout Costa Rica. Bullfighting is actually quite a draw with Zapote, a district in San Jose, being considered the “Superbowl” of local bullfighting. The National Stadium of Costa Rica is a major sporting venue with a 35,000 seat capacity and has hosted the 2014 FIFA Women’s World Cup as well as many other soccer matches. San Jose offers a variety of Jazz clubs and cafes. Some of the most popular spots include the Jazz Café Escazú, El Sotano and Jazz Café. The National Theater of Costa Rica has an illustrious history dating back to 1897 and offers several performances every week including by the National Symphonic Orchestra when in season. The theater is also a major tourist attraction and a beautiful Neo-classical structure. Catedral is one of the four districts that encompass the downtown area of San Jose. Catedral’s name originates from it being the home of the cathedral as well as the Catholic Archdiocese of San Jose. Some of the highlights in Catedral are the National Theater of Costa Rica and the Cathedral of San Jose. Carmen is one of the four districts encompassing the downtown area of San Jose. While busy during the day with business and government activity, it is not very populated at night. Carmen is the home of the Hospital Calderón Guardia which is one of the three major hospitals in Costa Rica as well as Costa Rica’s national library. The Hospital District is home to two major hospitals. The Hospital San Juan de Dios is one of the three main hospitals in Costa Rica and the Hospital de Ninos is a hospital which specializes in infant care. The Teatro Popular Melico Salazar and Parque Central de San Jose are also located in the Hospital District. Pavas is the most populated district in San Jose as well as the most populated district of the 470 in Costa Rica. Approximately 90,000 people call Pavas their home. The Tobías Bolanos International Airport is located in this district. San Jose is continuing to grow and attract residents with a variety of real estate listings and development. The luxury real estate market in San Jose has shown increases in price by 6.2% recently. Housing options in San Jose are more expensive than in other capital cities such as Mexico City. The cost of rental and real estate sales is over 20% higher in San Jose. When compared to Belize City, the cost of housing is just slightly higher in San Jose by approximately 7%. As businesses and interest increase in the Central Valley, San Jose enjoys some of the fastest selling properties. Even construction saw a significant boom with a 15% rise in development along with a plan to revitalize the downtown area and infrastructure. With beautiful warm weather year-round and access to the bustling city and the Pacific Ocean beaches less than 2 hours away, many Costa Rican residents and foreigners are finding their ideal homes in San Jose. Unlike Mexico, known for their strict laws about foreigners purchasing property, Costa Rica is considered transparent and friendly to those interested in real estate. There are no restrictions against foreigners buying property. San Jose was home to the first university in Costa Rica: the University of Santo Tomas. Founded in the mid-19th century by the Roman Catholic Church, the university was only around until 1888 when its programs split off. Today, the major university is the University of Costa Rica, which educates over 41,000 students and is a recombining of the programs originally established by the University of Santo Tomas. The main campus is in San Jose with 7 additional campuses throughout Costa Rica. Public schools in Costa Rica are managed under the Ministry of Public Education. There are three tiers to the education system: pre-school, elementary and high school. High school is designed for grades 7 through 12. Private schools are often bilingual to accommodate students who speak English, German and other languages.